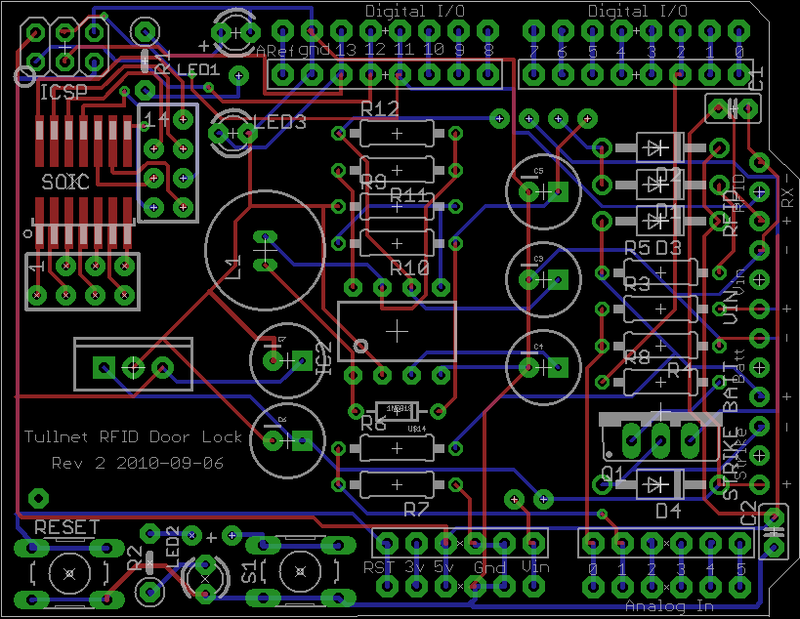 I used the freeware version of Eagle on Linux to design a PCB. I had it manufactured through the DorkbotPDX community. 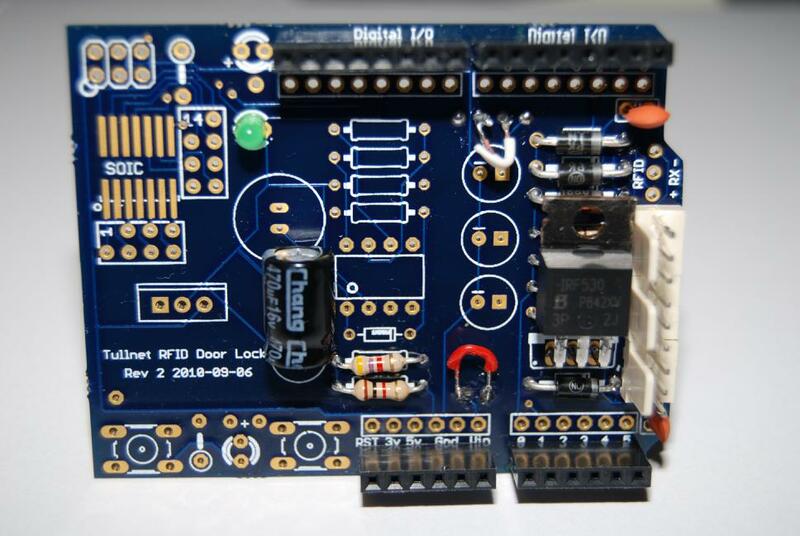 The PCB was designed to be modular. It can be built with or without the battery backup. 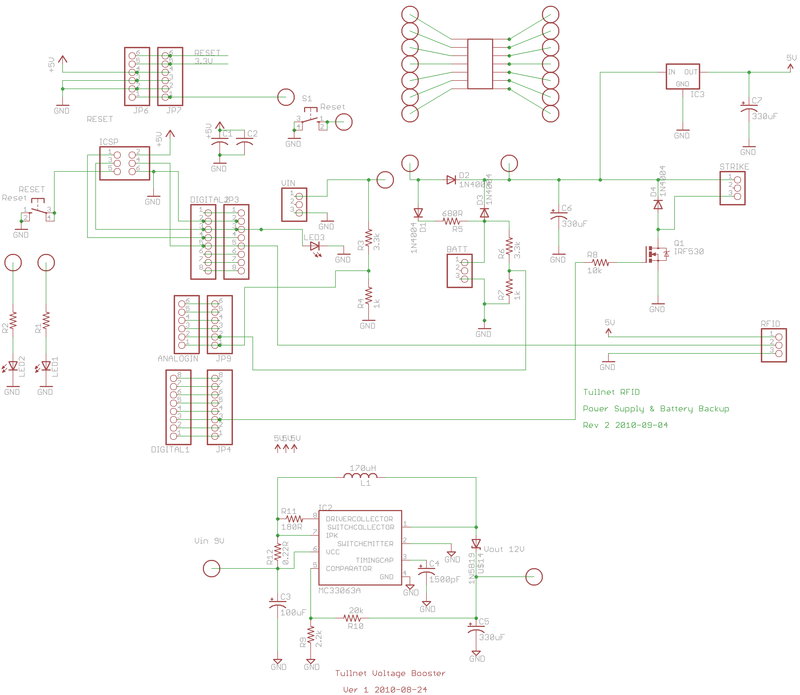 There's space in the middle for a voltage booster which uses a voltage pump chip, an inductor and a zener diode. In theory, the voltage booster allows the battery backup to be less than 12 volts. In practice however, small batteries can't source enough current to power the strike. It may be possible to use two or more 9v alkaline batteries in parallel. This would require disconnecting the trickle-charge circuit, but ordinary operation may drain the batteries as they are connected to the power rails via diodes rather than a switching transistor. 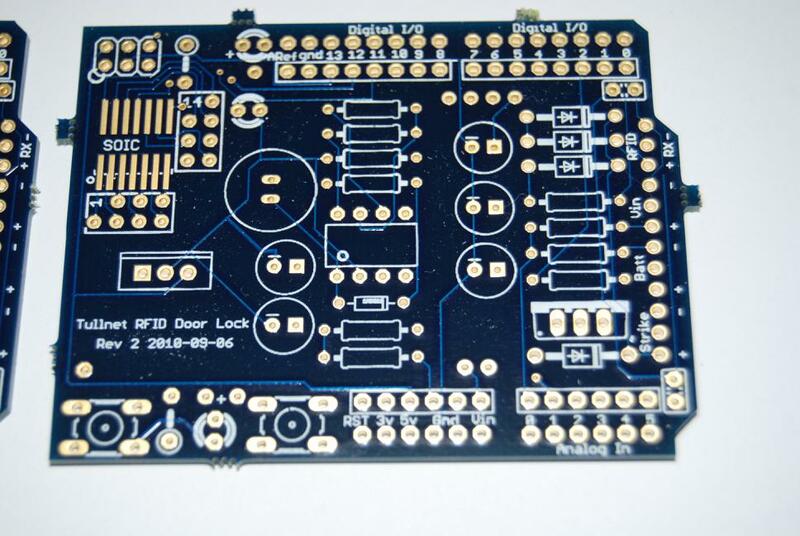 This PCB is available for purchase at my online shop.